In 1990, the Lamborghini Diablo was the successor of the Countach. 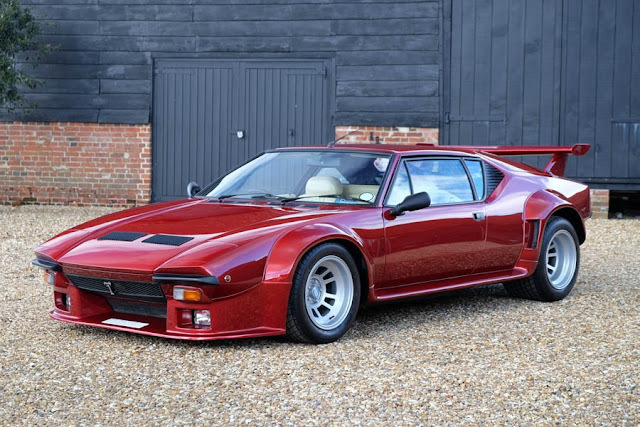 The car, which took four years to develop, was designed by Marcello Gandini, who also designed the Miura and the Countach. This sportscar is a two-seater two-door coupe with mid-engine. The focal point of design was to produce the world's fastest series-production car. This meant a minimum speed of 200 mph (320 km / h). 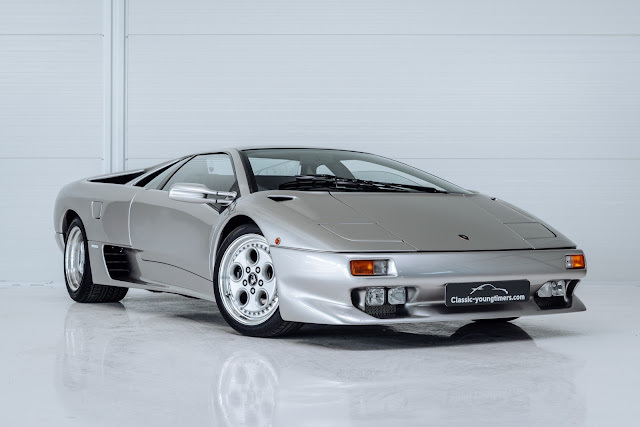 Like its predecessors, the Diablo was a typical Lamborghini: aggresive, wide and low. Entirely in Lamborghini tradition, The "devil" was named after a legendary bull from the 19th century. The heart of the Diablo is the compact 5.7-V12 engine. The body consisted of a combination of steel, light alloy and carbon-fiber reinforced plastic. Unusual in the interior is that not only the steering wheel and seats are adjustable, but also some of the instruments (tachometer and speedometer). 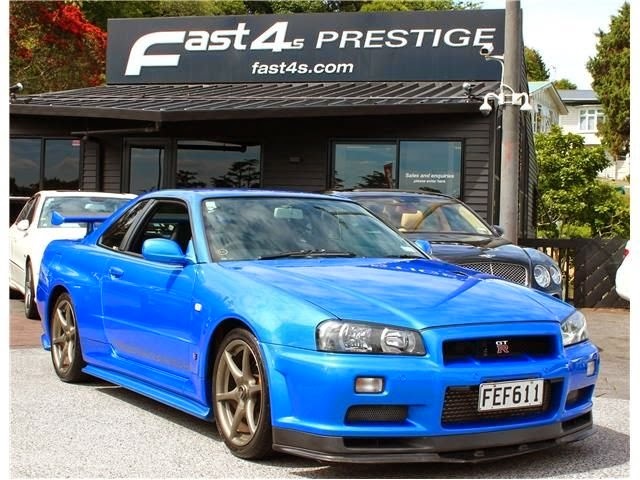 According to the manufacturer, the top speed was 202 mph (325 km/ h). 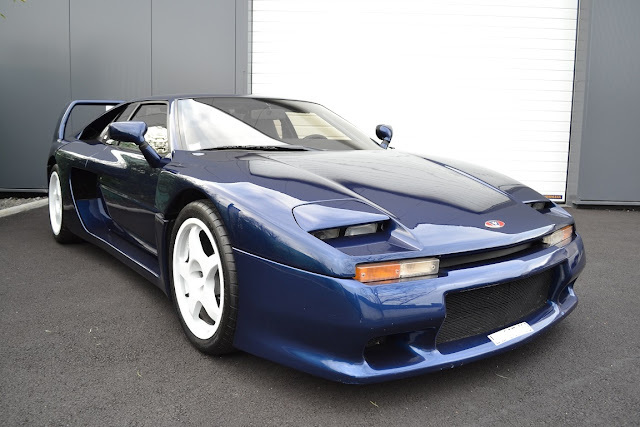 The Diablo accelerated from 0-60 mph (100 km / h) in 4.09 seconds. This Lamborghini Diablo, model year 1998, was delivered new in 2000 in the Netherlands. This Diablo comes from its third owner and has a damage-free past. The extremely low mileage is perfectly documented: every maintenance invoice from delivery till present is available. This Diablo is very punctually maintained! Because it is a Dutch car, the mileage is guaranteed by the National Car Pass. The color combination, at least in our opinion, is very beautiful. The gray paint has a high amount of metallic flakes which gives a gorgeous effect when in sunlight. Contrary to most Diablo’s, the color combination on this particular car is not so loud. Lamborghini Diablo’s are very sensitive to aluminium corrosion. With this particular car we have tackled the problem, fortunately the Lamborghini was kept inside most of the time and only suffered minor corrosion, the body is therefore now spotless. The interior is in excellent (like new) condition, which is unique for a Diablo. A lovely example of a Lamborghini Diablo, a true thoroughbred Diablo that faithfully encapsulates the pure Lamborghini driving experience.